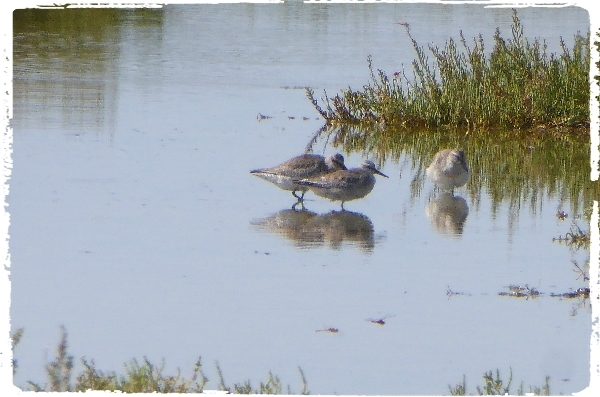 LAGUNA MEDINA - SANLUCAR 'PONDS' - BONANZA SALT PANS - LAGUNA TARELO - CHIPIONA MARINA. . A great day out with some fantastic birding, we saw 96 species with TEMMINCK'S STINT (2), MARBLED DUCK (5) and LITTLE SWIFT (10+) topping the bill. WEATHER: Clear blue sky all day, hot, dry and sunny. Max temp 35C. The good weather continues with crazy temperatures for October luckily we had a nice cool breeze for most of the afternoon. It was a very long day with an early start and a late finish but we enjoyed every minute of it. We set off at 7am in the dark and arrived at Laguna Medina at 8:30am. We noted White Stork, Cattle Egret, Common Buzzard, Griffon Vulture, Jackdaw and Crested Lark along the way. The morning light was superb and the air was dead calm, the laguna was like a mirror flat-calm, perfect for birding. 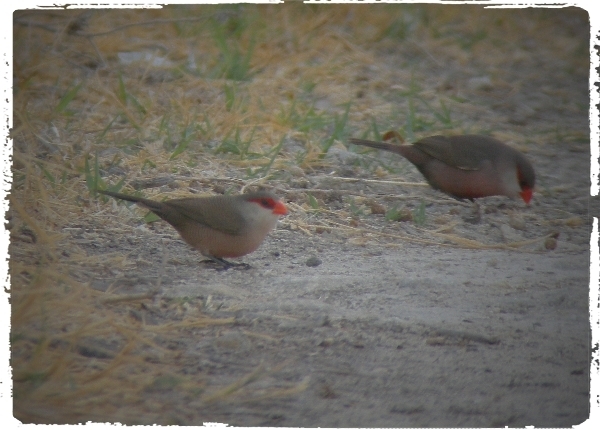 We soon had a few species on the list with Goldfinch, Zitting Cisticola, Common Stonechat, Marsh Harrier and Common Waxbill seen within a hundred meters of the car park. The reed beds were dead-still too we found a Reed Warbler, Cetti's Warbler amd both Greenfinch & Spanish Sparrows were feeding on the ground. Not so many birds were on the water as in previous years, this is due to the large numbers of Common Carp in the water, they eat everything. 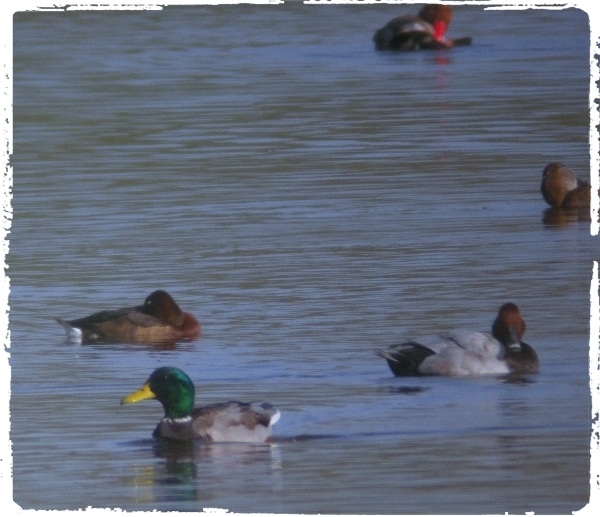 We noted Mallard, Shoveler, Common Pochard, Great Crested & Little Grebes. A single Northern Pintail flew over us as we progressed slowly along the track. The fields around the laguna provided some nice birds too, we saw several Whinchats, Northern Wheatears, Red-legged Partridge and a single Stone Curlew. From the hide we added Eurasian Teal, Purple Swamphen, Green and Common Sandpiper, Little Egret and Grey Heron. Good views of Cetti's and Sardinian Warbler were also had, a single Spotted Flycatcher was the only flycatcher of the day. 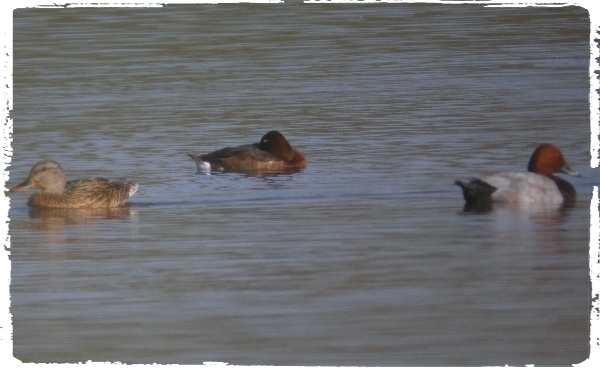 A Ferruginous Duck was a great find, it was distant but in the excellent light it showed well enough. As we left the laguna we had much closer views of the Ferruginous Duck, a splendid male, we also found Red-crested Pochard with it. After a coffee stop we made our way to Sanlucar adding Raven amd Common Magpie to our growing day list. We visited the ponds on the north side of the town, they were superb and full of birds. White-headed Duck, Purple Swamphen and a number of waders were noted with TEMMINCK'S STINT ( two birds), being the best find. We also saw two Squacco Herons there. 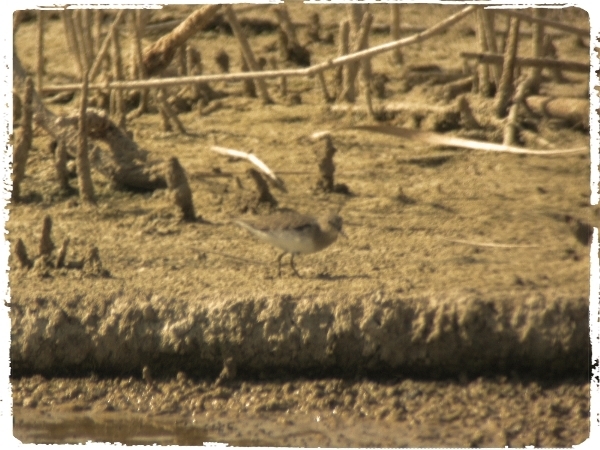 We stopped to look at the banks of the River Guadalquiver just outside of Sanlucar, where we found a number of waders and two Black Terns. Bonanza salinas (salt pans) always provide an excellent array of species, in a blaze of colour, heat amd dry dust we made our way to several favourable viewing points. It was just fantastic, waders, gulls, terns, flamingos, storks, heron and egrets were everywhere. 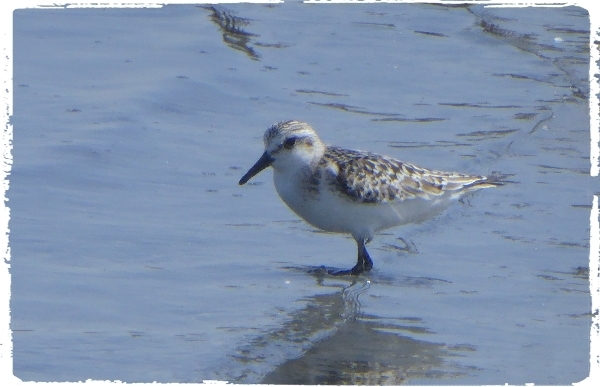 We saw 20 species of wader. 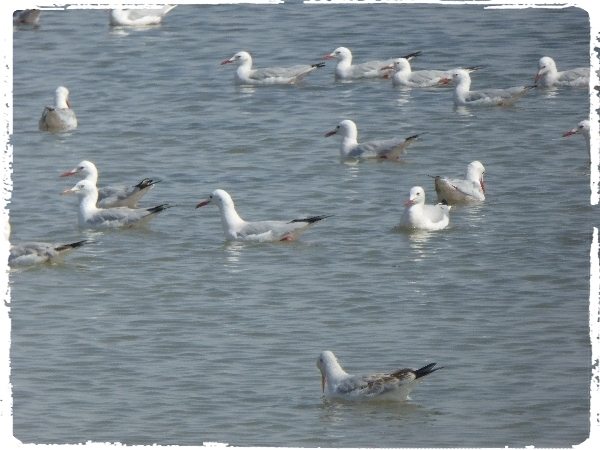 ​Also Great White Egrets (7), Black Stork (11), Caspian Tern (3) and hundreds of Slender-billed Gulls. The best of the wader sightings were Knot, Sanderling in their hundreds possibly thousands, Little Stints, Curlew Sandpiper, Bar & Black-tailed Godwits, Avocets and dozens of Common Shelduck. Osprey, Red Kite, Peregrine Falcon and Common Buzzard was all the raptors that we noted. After our picnic lunch we drove to Laguna Tarelo stopping along the way for a cold drink. The laguna was also excellent with 12 wader species, 7 species of duck and also grebes, coots, egrets, moorhens etc. The best sightings were of MARBLED DUCK (5) and White-headed Duck but we never saw a single Night Heron which is very unusual for this site. My group were flagging a bit in the heat, it was now 4pm and 35C with little breeze! So we gave up and drove to the beach at Chipiona. The marina at Chipiona is a regularly haunt for a large number of Ruddy Turnstones, at the moment there are about 50 but this number will increase soon, we also saw Mediterranean Gull, Audouin's Gull (our 6th species of gull on the day), a number of Northern Gannets were seen offshore and Sanderling were on the beach. However, it was the ​LITTLE SWIFT ​ that we were there for, it took a while but we saw a dozen or so, they were extremely high up amd hard to see, some of them eventually came down to their nests to roost, a marvellous bird to finish off our birding with! It was a long drive back, we arrived in Gaucin at 7:30pm, a cold beer went down extremely well with Dawn's delicous dinner. 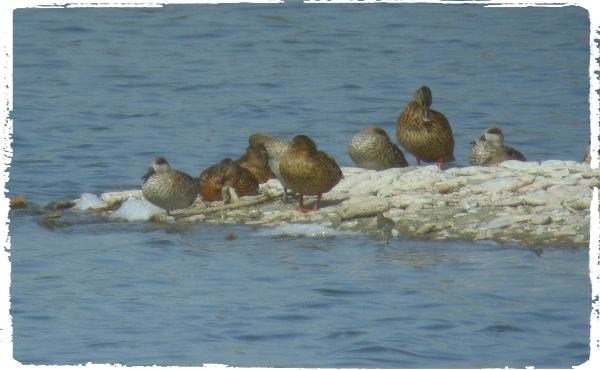 We had seen 96 species a few short of my record total for this day-tour of 106 seen back in 2005!